1. 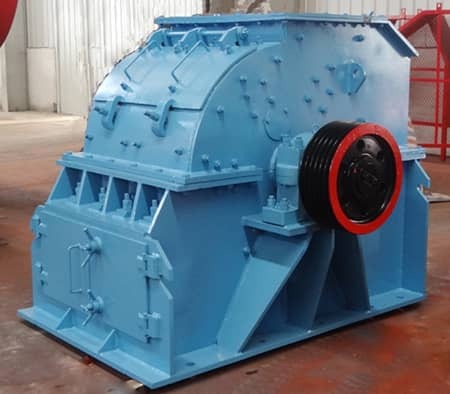 Before being used, should check whether the connecting bolts are loose or not, whether there are sundries inside the crushing cavity, whether the lubrication oil is sufficient in each bearing and other rotation parts, whether the belt on the drive device and motor are break or overlap, whether the terminal box and grounding device is fasten. After inspection of the above aspects, the machine can be started. 2. During working condition, such as suddenly stop, cannot start the machine before finding the exact reason; when the machine in operation process, if the abnormal vibrating or knocking noise appears, should stop the machine to check. 3. During daily operation, should take regular maintenance. Check the fastening condition of bolt connector; clean the grizzly bar and discharge the unnecessary materials after operation; check the abrasion situation of wearing parts, replace it if needed; feed the materials evenly, not too much or too small, to prevent the machine from overload operation; the lubrication oil must be clean, and clean the bearing regularly to ensure its flexibility.